Teacher's: All activities can be done in any order you choose for your convenience and lesson plan. Just feel free to let Farmer Tony know how you would like to personalize your experience on the farm. - A Sweet Potato to take home dug up yourself as well as Cucumbers you pick straight from the vine. 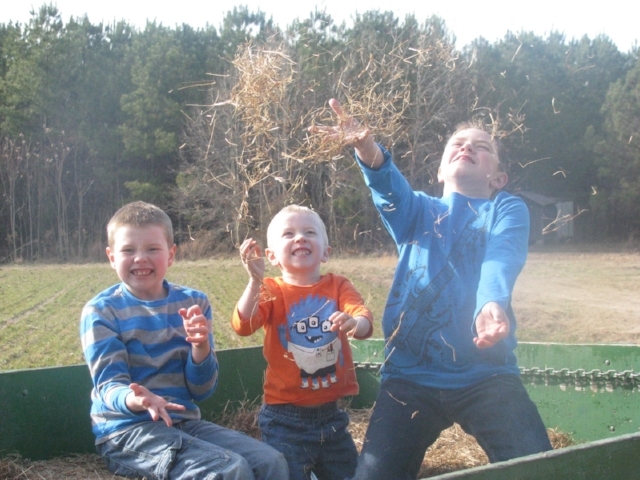 - Go through our hay mazes, and corn mazes as many times as you want depending on the time of your trip. Bring your lunches and enjoy a nice meal in our Picnic Oaks. Enjoy visiting our Farm Animals including PEACOCKS! There will be many Fun Facts all around the Farm, Just look for the Did You Know? signs posted in numerous locations when you visit the farm.